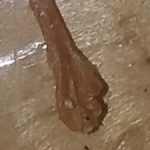 We don’t know what part of his body this photo is of or how much the photo is magnified. We can see a small dark spot in center, and a tiny black thread-like thing on the left. 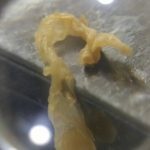 This is likely the worm-like organism our reader described. We aren’t totally sure what our reader is dealing with. 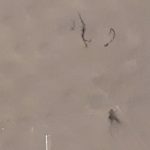 The dark spots could just be discoloration from sun exposure and might have nothing to do with the black worms he has been finding. On the other hand, the two could be related. 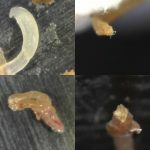 Since we aren’t medical professionals, we don’t have the training or expertise to be able to confidently (or legally) diagnose readers who are dealing with worms in their bodies. We think going to the doctor is a good next step for our reader, especially if he is concerned about his health. Due to the calm tone of his message, we weren’t sure if he was truly suffering and concerned, or just curious. 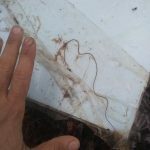 We do want to mention that the photo and description he sent remind us of a few other stories we’ve heard from readers about tiny black worms/string coming out of their skin. 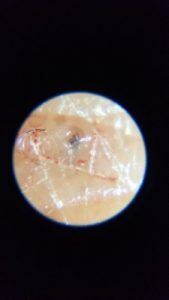 Finding fibers, black threads, and string materials in the skin is a symptom of Morgellons, which is a rare controversial skin condition. 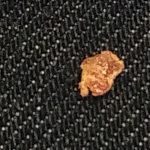 We are by no means saying that our reader has Morgellons, but he might want to look into it and do some research. 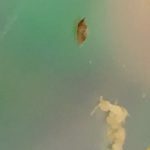 If he is interested in learning more about Morgellons, The Charles E. Holman Foundation and The Mayo Clinic are great resources. Our last piece of advice is that if he chooses to go see a doctor, he might want to seek one out that specializes in travel and infectious diseases. These specialists are often more exposed to odd cases and therefore more familiar with the diagnosis and treatment. To find one, he can search for “travel infectious disease doctor [his location or nearest big city. ]” We wish our reader the best of luck and good health! "Help! 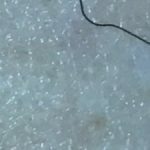 Black Worms Under My Skin"
We recently received this message from one of our readers, "I have black worms under my skin. They appear to be dead. I think they come from these migrating dark spots on my skin."